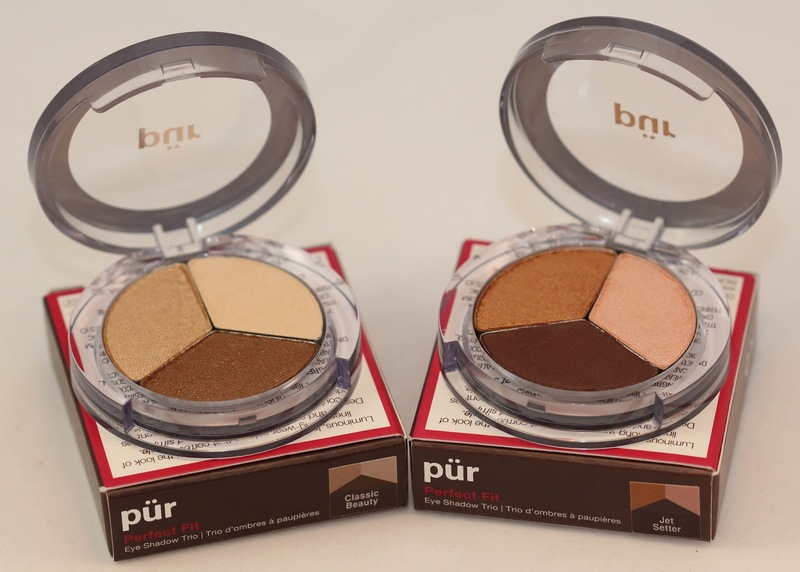 Today is another Fundamentally Flawless first - I'm reviewing a couple of Pür Minerals Perfect Fit Eyeshadow Trios. There's a reason I've stuck to nails and handcreams so far - taking pictures of my hands is a whole lot easier than taking pictures of my eyes! So apologies in advance for the rather amateurish photography in this post. I'm not a big make up wearer, I have to admit. I always use some sort of tinted moisturiser, or more recently a BB or CC cream, eye brightener for my dark circles, eye make up and blusher - but that's literally it. I'll hold my hands up to the fact that I have no idea how to use bronzer or highlighter - maybe I'll be taught how someday soon (I've already learnt a lot from Emily of Blog Me Beautiful - who even attacked my eyebrows on a recent mini break we had. 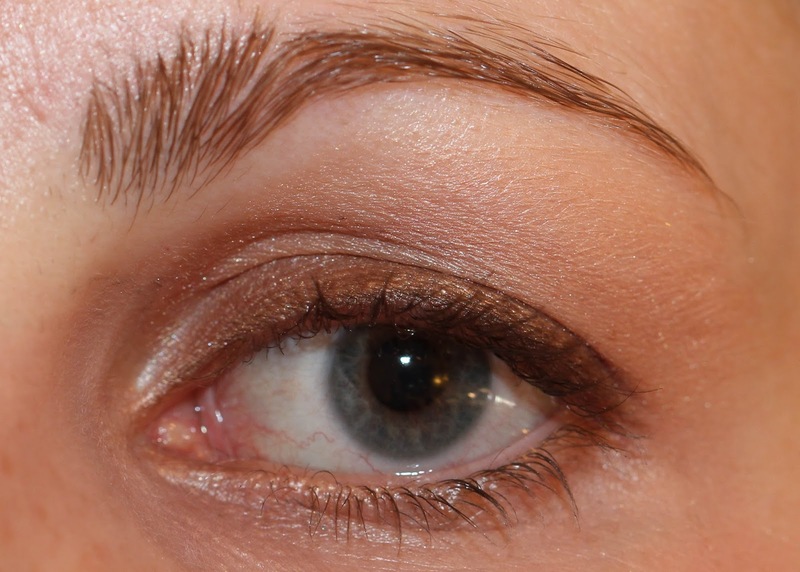 After a shared bottle of wine she thought it was the perfect opportunity to sort out my wayward brows - and although her 'I hope you like it' after the first one didn't fill me with confidence, she actually did a grand job). 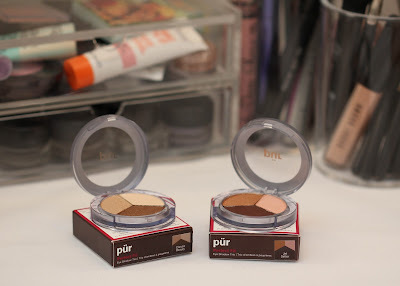 What I'm getting around to saying is that because I usually wear so little make up, eyeshadows are a product I'm always on the look out to find that work for me, so I was keen to try out these Pür Minerals ones when I was asked. Read down to the bottom of the post to find out about the promotion. I know very little about the company, though it seems to be an American one - over here it available in Marks and Spencer. Their products are formulated with 'good-for-your-skin ingredients that not only help cover skin imperfections but also help correct its overall appearance.' Their formulas contain key antioxidants, vitamins and minerals for skin nourishment. 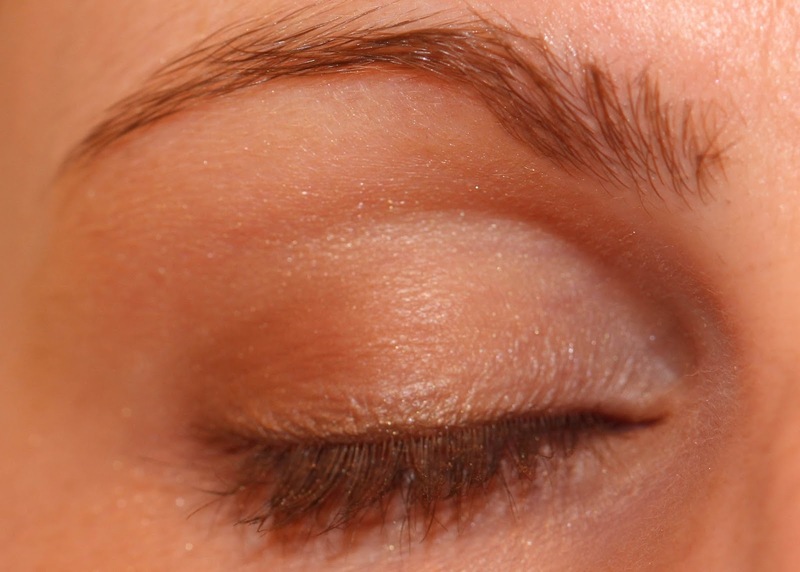 I received Jetsetter (Gold/Bronze Mix) and Classic Beauty (Natural Mix) trios as I tend to opt for quite neutral shades. They come in nice little boxes and the packaging of the palettes is attractive, if a little plasticy for the price tag. The eyeshadows have 'built-in firming ingredients and light-diffusing mineral spheres' and they say that they have a line-free finish. So do they? Each trio has three shades which complement each other well. 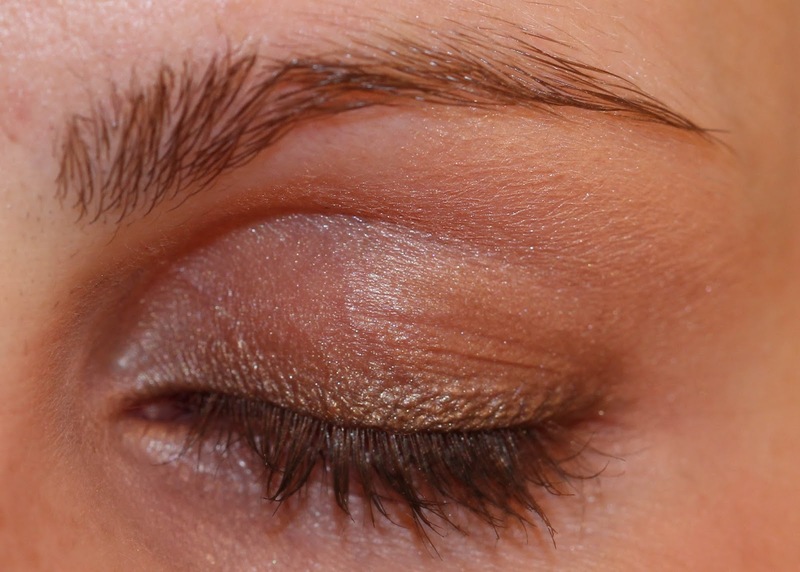 When I tried them, I used the lightest shade all over my eyelid and up to highlight under my brow, with the middle shade I went over the eyelid again and I used the darkest shade just in the outer corner of my eye. I definitely think it's handy to have these little palettes, which are great to pop into a handbag to use to touch up during the day if needed. I found that the Classic Beauty shades were rather pale - even the darkest of the three - and so I had to put on quite a lot to show any colour at all. I was a bigger fan of the Jetsetter palette which has a really pretty shimmery pink shade and the darkest shade, a sort of plummy brown matte, has real pigment in it. I think they're both pretty good daytime work eyeshadow trios and I know I'll be using them a fair amount when school starts again in a week. They really were crease-free which is always a bonus. The price tag is quite reasonable, seeing as you get three shades - but I would definitely opt for the more colour-heavy Jetsetter over the Classic Beauty trio. 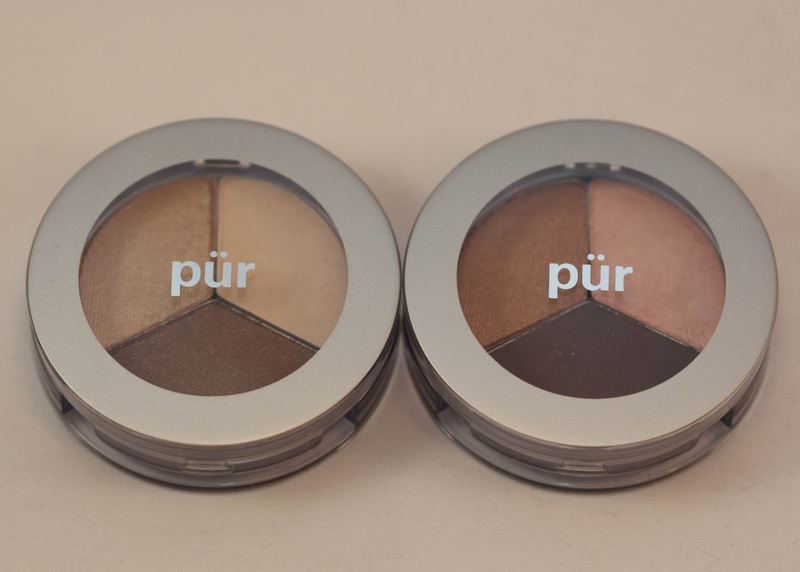 The Pür Minerals Eyeshadow Trios are usually £20 on the M&S website but they're just £16 at the moment. Between 29th August and 11th September 2013 if you buy any two Pür Minerals products, you will receive one free eyeshadow trio in the shade of your choice (in store; online the only trio available is 'Pink Mix'). Either pop into your nearest M&S store or shop online at www.MarksandSpencer.com. Perhaps this is a good opportunity to see which eyeshadow trio suits you best!